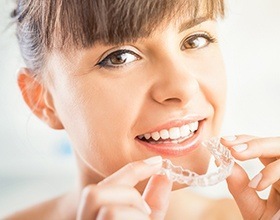 If you’ve always wanted to straighten your teeth but have avoided doing so because you didn’t want to get metal braces, then say hello to Invisalign! This system swaps brackets and wires for practically invisible clear plastic aligner trays that are able to shift the teeth in the most discreet and comfortable way possible. Are you struggling with several cosmetic issues all at once? Porcelain veneers can effectively give your smile a complete do-over, seamlessly covering teeth with lifelike, wafer-thin replacements that look and feel completely natural. 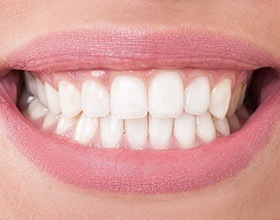 Veneers are also more resistant against staining than your original enamel. When you’re in need of restorative care, the last thing you want to be worrying about is how the procedure will affect the look of your smile. That’s why silver and gold restorations are part of the past here at Yenzer Family Dental. Instead, our team is happy to primarily offer restorative pieces that are all-ceramic and completely natural-looking, resulting in a truly seamless treatment experience. A small chip here and a minor crack there can have a big effect on your smile, so if you’re ready to get rid of these tiny flaws, direct bonding is your new best friend. 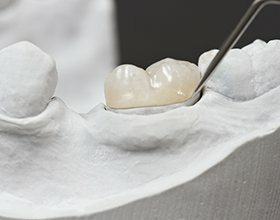 For this, Dr. Yenzer will apply a tooth-colored composite resin to your tooth and use it to literally sculpt away any imperfection you can imagine. With it, he can improve any tooth’s shape, size, and even color! Better yet, the entire procedure usually takes less than an hour and always yields dramatic, natural-looking results. Is your smile looking a bit dull or yellow lately due to staining factors such as coffee, wine, tobacco, old age, or genetics? If so, we can help restore your smile's original shine using patented GLO Whitening. This treatment can make your teeth 5 shades whiter or MORE in just 30 minutes or less! 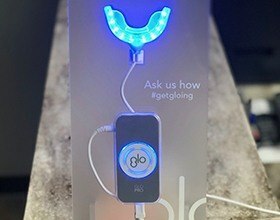 After applying the professional-strength whitening gel to your teeth, we'll place the GLO mouthpiece in your mouth which will expose the gel to low-heat lights and stimulate its ability to quickly break up the most stubborn stains. With our help, patients can experience a major improvement in the shade of their smile. 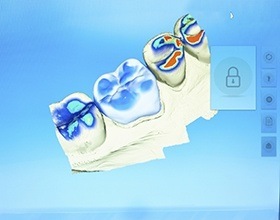 We provide customized bleaching trays and high-grade professional gel for you to use in the comfort of your own home. You’ll be amazed by the dramatic changes you can achieve after just a couple of weeks of treatment! Is your smile being overshadowed by your gums? Does your gum line make your teeth appear short or stubby? With our soft tissue laser, we can help you achieve the perfectly proportioned smile you have always wanted. The laser’s beam of light is able to painlessly remove excess tissue to expose beautiful, previously hidden dental structure. Once that is complete, Dr. Yenzer will shape your new gum line along your teeth to finish the treatment, and we know you’ll absolutely love the results. As we said above, choosing to enhance your smile with cosmetic dentistry is a big decision, so with digital imaging, we can help you have all the information you need before undergoing any treatment. Using a digital photo of your current smile, we can manipulate it to show you how a particular procedure will change your look. We’ll basically create your own “before & after” photos. That way, you’ll be able to actually see what kinds of results you can expect. Show it to friends and family to get their opinion, and if you see anything you would like to change, just let us know, and we’ll make it happen!